Troop 35 made the newspaper at Wheaton Patch! Check it out! our scouts show off their wreaths! for more than 25 years. They will have some new products this year including boxwood wreaths, spruce tops and mailbox swags. read more! 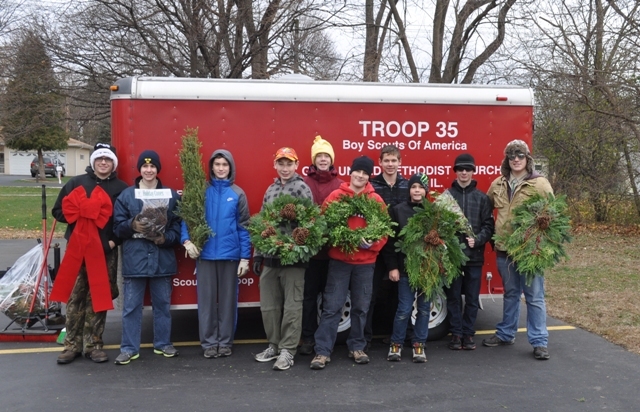 This entry was posted in Scout Values and tagged Christmas Wreaths, Eagle Scouts Troop35, Gary United Methodist Church, scout recuiting, Troop 35. Bookmark the permalink.